As promised, Windows 8 and Windows RT's native productivity apps have finally received some update love. Although severely spartan in both design and features, Mail, Calendar and People now boast a number of new tricks which aim to make your out-of-the-box Windows 8 (and RT) experience slightly more enjoyable. Thankfully, Microsoft's Mail app was the main focus of the update, elevating the app's status from "frustrating" to "mostly usable" in terms of productivity. Amongst its newly minted features are the ability to create e-mail sub-folders (works in Gmail also) and selecting multiple e-mails at once. 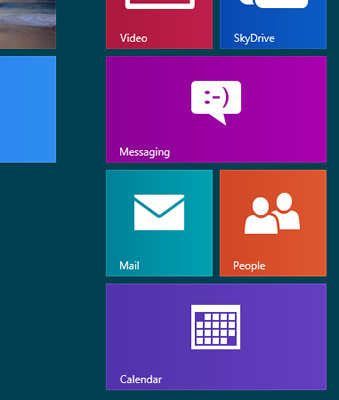 Microsoft has also added a "Print" button and overall, the interface just feels snappier. If you haven't used Windows 8's "productivity" apps before, then just those additions alone should help you visualize how truly no-frills they've been. Calendar hasn't changed much, but its aesthetics have definitely improved. Meanwhile, the People app's usability has been upped a notch or two through the addition of an "app bar" and better navigation. Despite a number of positive additions, Google Calendar users should be warned: the native Calendar app no longer works with Google Calendar. Your account under Calendar will now warn you that it "Needs Attention" and when you go in to check it, it will tell you "We can't connect your calendar because Google no longer supports ActiveSync". For now, there is no direct way to resolve this aside from using a different Calendar app. While Google's decision to jettison support for Exchange ActiveSync is indeed the primary issue, Microsoft promised interim support until it devises an official CardDAV and CalDAV solution. It appears though that Redmond has partially reneged on this commitment, given the absence ongoing Google Calendar support. It should be noted that Gmail and related contacts still work fine, although users will be asked to re-sync their accounts. Windows 8 and Windows RT users can install the updates (and others) by opening the Windows Store app, bringing up the Charms Bar, clicking "Settings" and then "App Updates".